At 30 September 20181, the Piaggio Group reported an improvement in performance from the year-earlier period, with progress on all the main earnings indicators, higher capital expenditure and a reduction in debt. Mantua, 23 October 2018 – At a meeting today chaired by Roberto Colaninno, the Board of Directors of Piaggio & C. S.p.A. (PIA.MI) examined and approved the interim report on operations as at and for the nine months to 30 September 2018. Group consolidated net sales totalled 1,093.7 million euro, an improvement of 4.1% from 1,050.4 million euro at 30 September 2017. At constant exchange rates, net sales would have risen by 8.4% from the year-earlier period. The industrial gross margin was 334.4 million euro, up by 3.5% from 322.9 million euro at 30 September 2017. The return on net sales was 30.6% (30.7% in the year-earlier period). Operating expense sustained by the Group in the nine months to 30 September 2018 amounted to 249.5 million euro, down 1.7% from the year-earlier period (253.8 million euro). The changes in the income statement described above generated consolidated Ebitda of 166 million euro, up by 4.4% from 159 million euro at 30 September 2017. The EBITDA margin was 15.2% (15.1% at 30 September 2017), the best result ever reported for the first nine months. EBIT in the first nine months of 2018 amounted to 84.9 million euro, a significant increase of 22.9% from 69.1 million euro in the year-earlier period. The EBIT margin was 7.8% (6.6% at 30 September 2017). At 30 September 2018, the Piaggio Group posted profit before tax of 66.1 million euro, up 49.9% compared with 44.1 million euro in the first nine months of 2017. Income tax for the period was 29.7 million euro, with an impact on pre-tax profit of 45%. The Piaggio Group closed the first nine months of 2018 with net profit of 36.3 million euro, an increase of 44.6% compared with 25.1 million euro in the year-earlier period. Net financial debt at 30 September 2018 stood at 405.1 million euro, an improvement of 41.6 million euro from 446.7 million euro at 31 December 2017 and an improvement of 25.6 million euro from 430.7 million euro at 30 September 2017. In the first nine months of 2018, Piaggio Group capital expenditure amounted to 72.2 million euro, an increase of 16.6 million euro from 55.6 million euro at 30 September 2017. The total workforce of the Piaggio Group at 30 September 2018 numbered 6,754 employees. The Group had 3,383 Italian employees. During the first nine months of 2018, the Piaggio Group sold 469,400 vehicles worldwide, an increase of 10% (426,700 shipments in the year-earlier period), and reported consolidated net sales of 1,093.7 million euro. At geographical level, sales volumes increased in India (+27.1%) and in Asia Pacific (7.5%), while sales volumes in the EMEA and Americas regions reflected the impact of lower market demand for 50cc vehicles. Signs of an upturn on the European market have already been reported during the third quarter. 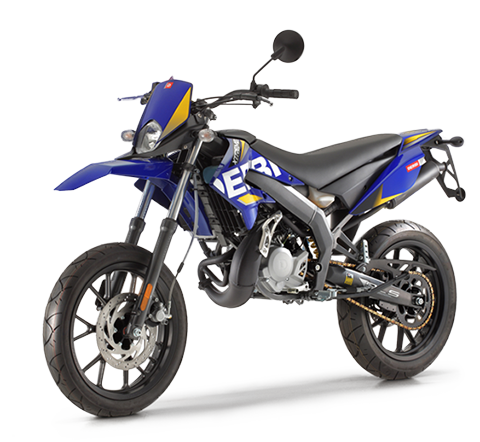 In the first nine months of 2018, the Group sold 312,200 two-wheelers worldwide, an improvement of 4.3% (299,400 in the first nine months of 2017), generating net sales of 772.3 million euro (765.9 million euro in the year-earlier period). The figure includes spares and accessories, on which turnover totalled 97.7 million euro, an increase of 2.4% from 95.5 million euro in the year-earlier period. In the first nine months of 2018, the Piaggio Group reported a strong rise of 31.4% in sales volumes on the Indian two-wheeler market, driven specifically by the excellent results of Vespa and Aprilia SR, and an increase of 7.5% in two-wheeler sales volumes in Asia Pacific. 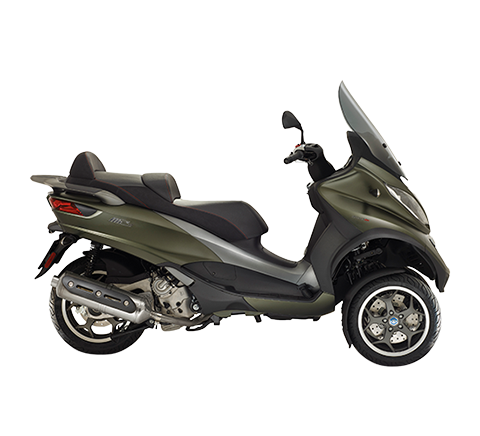 In Europe the Piaggio Group confirmed its leadership of the scooter segment, with a share of 25.4%. 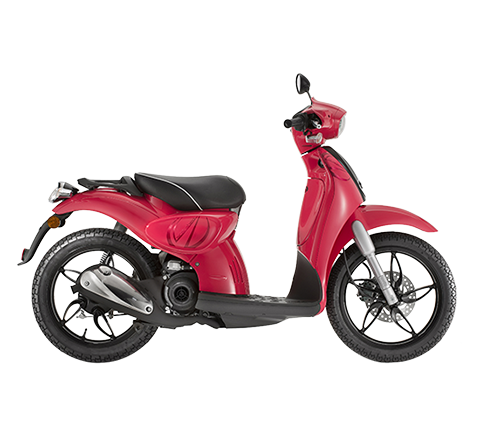 The Group also maintained a strong positioning on the North American scooter market, with a share of 23.3%. 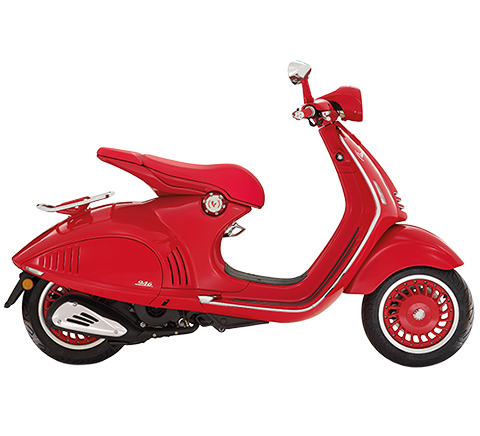 In the scooter segment, excellent results were achieved by the Vespa brand, whose worldwide shipments increased by 14% from 30 September 2017; all the geographical areas contributed to this result, with a significant improvement in India, Asia Pacific and Europe during the third quarter, fuelled by the successful launch of the special series. 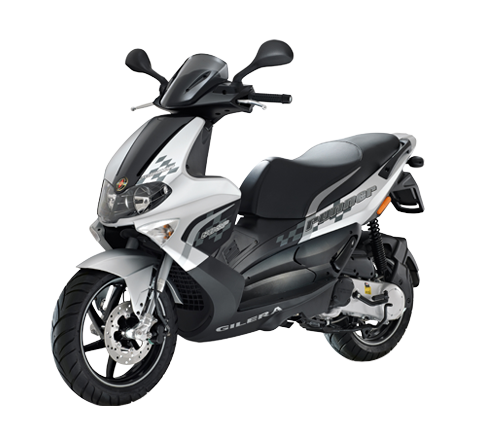 Also in the scooter segment, sales volumes rose for the Medley high-wheel scooter and the MP3 three-wheeler, reflecting in particular the positive response to the new engine displacements introduced in the third quarter. 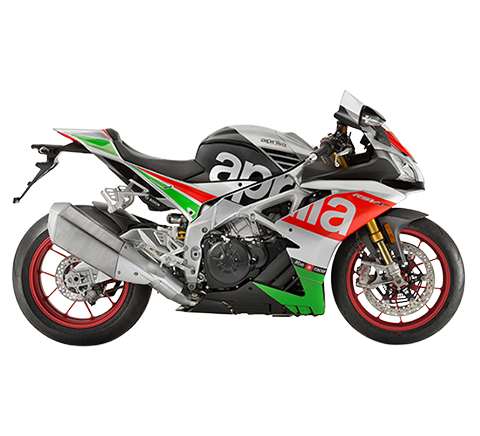 In motorcycles, Group volumes increased largely thanks to the Aprilia brand, which reported an improvement of 13.2% assisted by the new Shiver 900 and Dorso Duro 900 and by the SX 50. In commercial vehicles, the Piaggio Group reported strong progress, with sales of 157,200 vehicles, up 23.5% from 127,300 in the first nine months of 2017, and net sales of 321.4 million euro, up 13% from 284.5 million euro in the year-earlier period. The figure includes spares and accessories, where sales totalled 35.7 million euro, up 8.3% (33 million euro in the year-earlier period). Demand on the Indian market for three-wheel commercial vehicles continued to show strong progress; the PVPL subsidiary had an overall market share of 23% and confirmed its leadership in the Cargo segment with a share of 45.7%. The PVPL production facility exported 33,400 vehicles in the first nine months of 2018. Piaggio Fast Forward (PFF), the Piaggio Group robotics company headquartered in Boston, continued development work on its first innovative projects, Gita and Kilo, and also on a range of new functions for indoor home and business environments. Gita and Kilo are smart vehicles able to move autonomously in today’s increasingly complex urban environments. The vehicles accompany the user, map their surroundings and monitor other moving objects. In Pune, India, the Piaggio Group presented the new range of Ape models powered by natural gas and methane, the Ape Xtra LDX and the Ape Auto DX, intended initially for the Indian market and later to be marketed in the developing nations (press release of 24 September). These are the first Ape models with a water-cooled engine, and offer top performance in their class, while responding to the growing demand for commercial mobility solutions – specifically as regards inter-city travel in India – and for alternative energy sources thanks to their latest-generation eco-compatible engines. On 8 October, an online pre-booking campaign was launched for the Vespa Elettrica produced in the Italian factory in Pontedera. 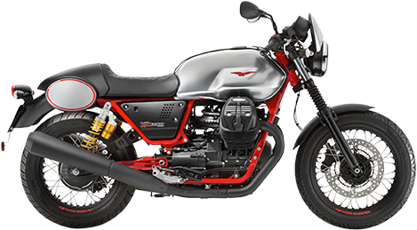 Full marketing is scheduled to begin in November, coinciding with the EICMA motorcycle show in Milan, and will commence in Europe and later extend to other countries as from the beginning of 2019. The Piaggio & C. S.p.A. Board of Directors assigned some powers relating to product and marketing strategy to director Michele Colaninno, in addition to the powers relating to strategic development assigned to him at the board meeting of 16 April 2018. The presentation of the financial results as at and for the nine months ended 30 September 2018, which will be illustrated during a conference call with financial analysts, is available on the corporate website at www.piaggiogroup.com/it/investor. The Piaggio Group consolidated income statement, consolidated statement of financial position and consolidated statement of cash flows as at and for the nine months ended 30 September 2018 are set out below. The income statement schedules have been updated as a result of the adoption of IFRS 9, which amended IAS 1 (82 ba), requiring separate recognition in the income statement of impairment losses (including impairment reversals or gains on reductions in value). As from 1 January 2018, the Piaggio Group has applied IFRS 9 (Financial Instruments) and IFRS 15 (Revenue from Contracts with Customers). In this press release, the 2017 figures at 30 September have been re-stated to permit comparison with the corresponding 2018 figures.